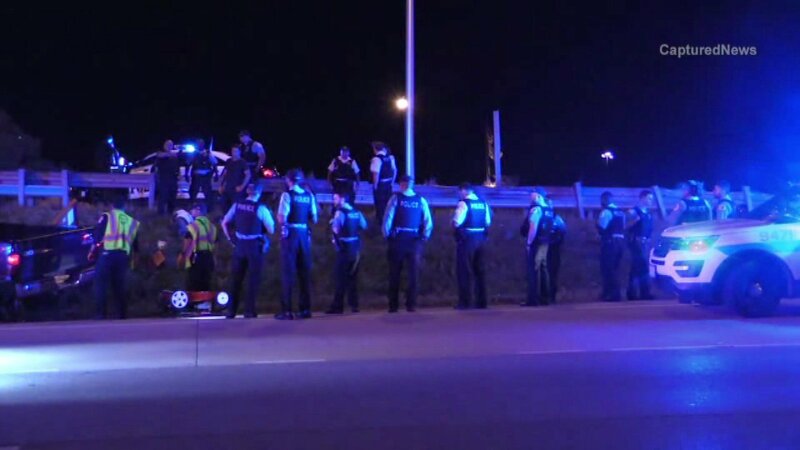 BURNHAM, Ill. (WLS) -- A police chase in south suburban Burnham ended in a crash on the Bishop Ford Freeway early Friday morning. Burnham Police Chief Peter Belos said officers pulled over a driver in a pickup truck around 3:30 a.m. after a report of a person with a gun. The driver sped off on the inbound Bishop Ford, lost control and crashed near 103rd Street, Belos said. No other vehicles were involved. Police did not find a gun at the scene, Belos said. A man and a woman were taken into custody and transported to a hospital as a precaution. Charges are pending.